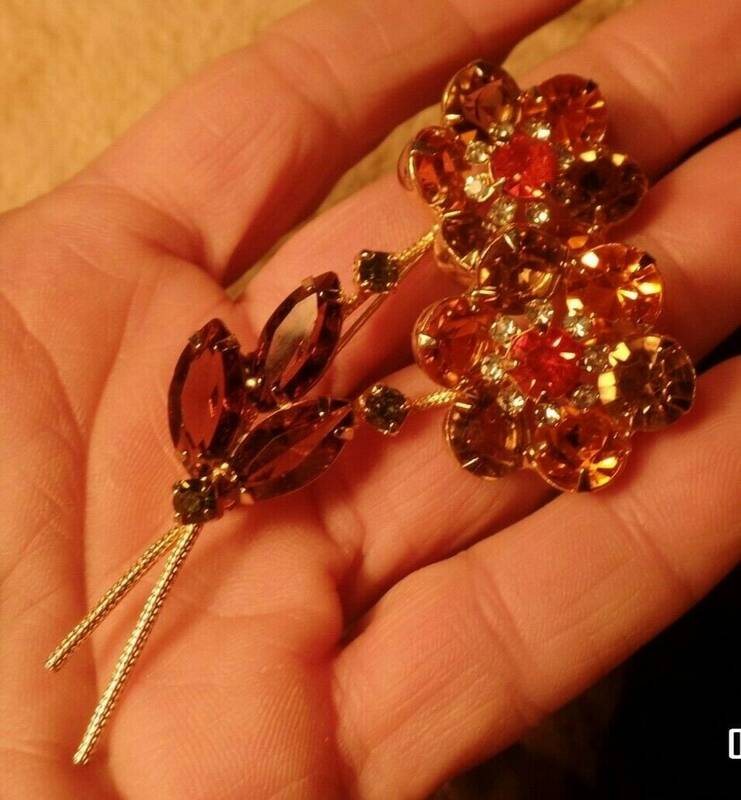 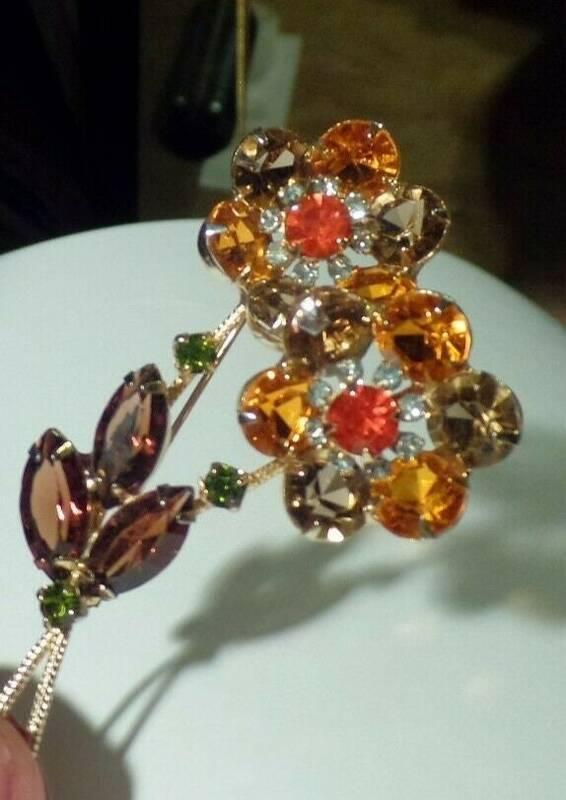 Breathtaking orange rhinestone flowers surrounded by tiny crystal clear rhinestones, offset with another shade of orange + purple olive green duet. 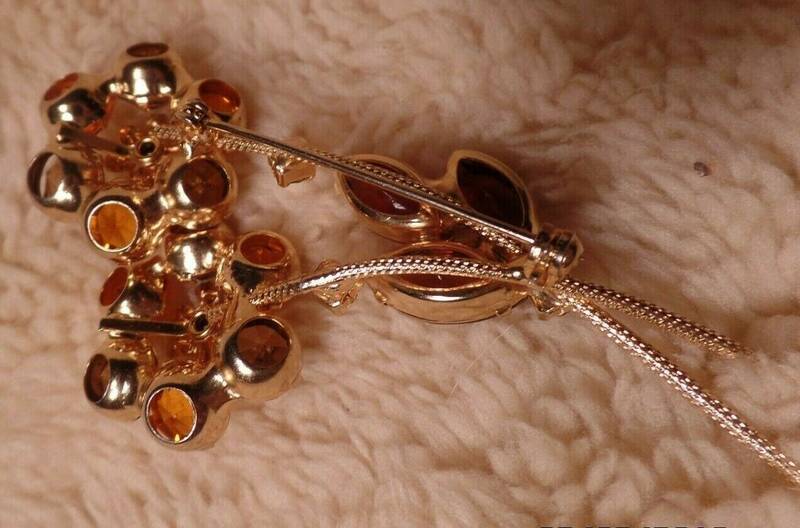 Excellent condition in a yellow gold look setting with the back showing the detail of a real Juliana piece of art. 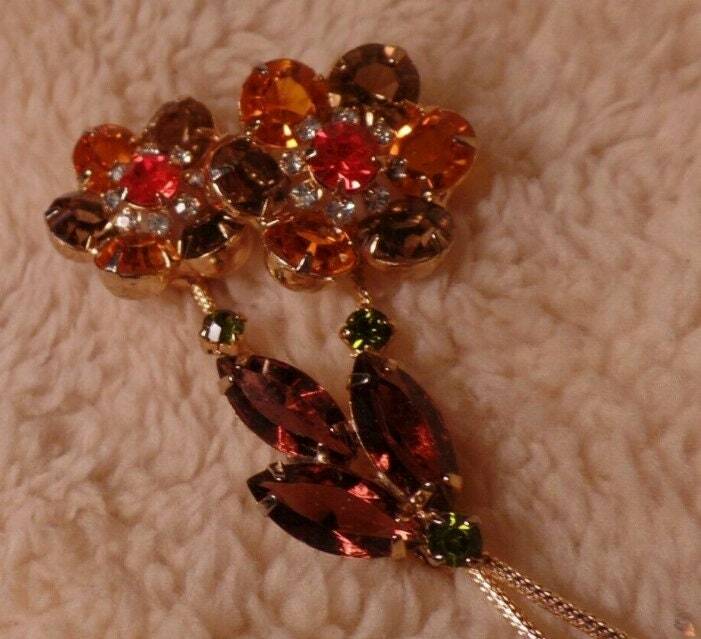 Measures a full 3 1/2 inches in length almost 2 inches across the top. 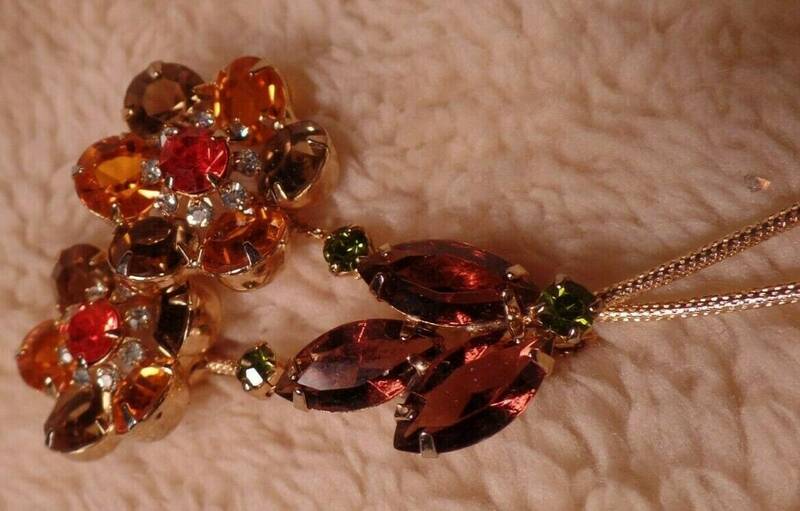 It's such a beautiful vintage brooch and reflective of this maker!